Dog parents: read this! 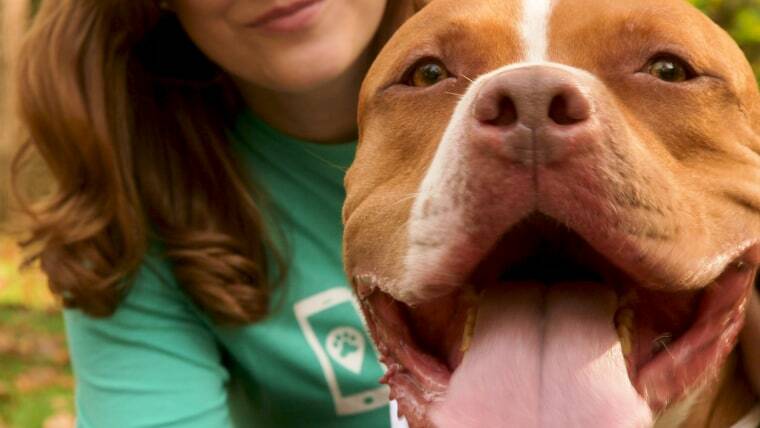 You can order a dog walker through this app. With just a swipe on our phones, we can order a car through Uber, get a steak dinner delivered through Seamless, pay a friend back through Venmo, or even order groceries from FreshDirect. And now, small businesses are getting in on the digital action. If your four-legged best friend feels left out, now there's Wag!, a mobile, on-demand dog walking service. Wag! started as a small start-up in Los Angeles in 2015 and is now in more than 50 cities across the U.S., offering walks, sitting, and boarding for your pups. Its walkers are so well vetted that getting hired has been described as "like getting into Harvard" in the Wall Street Journal. Less than five percent of applicants are hired, according to Wag! Business Manager Gabrielle Constantine. The Wag! app lets users see available walkers, who have profiles and ratings from other customers. Each walk and service is promised to be a one-on-one session with the walker and the dog and lets owners follow along a GPS-enabled route. After the walk, you'll get an activity report and a note from the walker. Wag! provides an activity report for customers after every walker is complete.Wag! Before Wag!, Olivia Wheat, a customer of two years, said she would sometimes schedule a walker for her dog, Ryder, but instead someone else would show up. "It was super frustrating always having to ask the dog walker what time they came, what they did," she said. "And then I found out it wasn't the dog walker that I had met and interviewed, which was a little disconcerting." Now she can see exactly where and when Ryder walked — and have 24/7 service available, which is a huge plus for Wheat, who is the Marketing Director for Bouley Restaurants and has a lot of events at night. "It's nice to know that if something runs over an hour, that someone can get Ryder. I've used Wag! as late as 11:00 p.m. and someone is always there." Another Wag! customer, Sebastien van Heyningen, says that Wag! gives him more freedom. "It allows me to go to work a little bit earlier and leave later. If I have plans at night, I can request a walker, in like two to three seconds. It's allowed me to have more freedom and spend more time out the house."